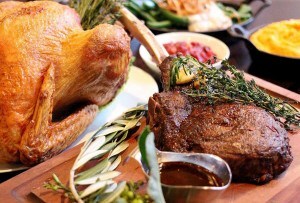 Perfect for stocking your pantry, or to pick up for the gourmand in your life who likes to bring the heat and flavor. 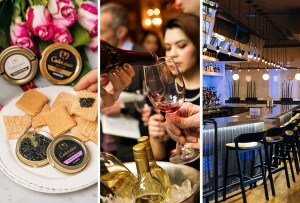 By Jacqueline Cain·	 12/13/2017, 4:59 p.m.
From piquant pebre by an up-and-coming brand called Buenas, to Row 34’s classic cocktail sauce, a Night Shift beer-infused mustard at Saus, and more, these tasty bottles from local spots are easy last-minute gift ideas. OK, so this empanada company isn’t a restaurant yet. But Melissa Stefanini and Sebastian Galvez, the co-creators of the Latin American-inspired brand, are currently crowdfunding the buildout of a brick-and-mortar stall at Somerville’s forthcoming Bow Market. There, they’ll sell their jarred dulce de leche, chimichurri, and pebre, the spicy table sauce that’s a favorite of East Boston Oysters and other tastemakers. To help the great Buenas buildout, you can buy jars of these three sauces at Central Bottle in Cambridge, Formaggio Kitchen in the South End, and more local stores. Opening spring 2018 at Bow Market, 337-341 Somerville Ave., Union Square, Somerville, bowmarketsomerville.com, buenas.co. Though East Coast Grill is officially gone for good, the Caribbean-style hot sauce that founder Chris Schlesinger developed there decades ago is still in use locally at his Kendall Square bar, the Automatic, where you can buy Automatic-branded bottles for $5 for 4 ounces, and $15 for 12 ounces. 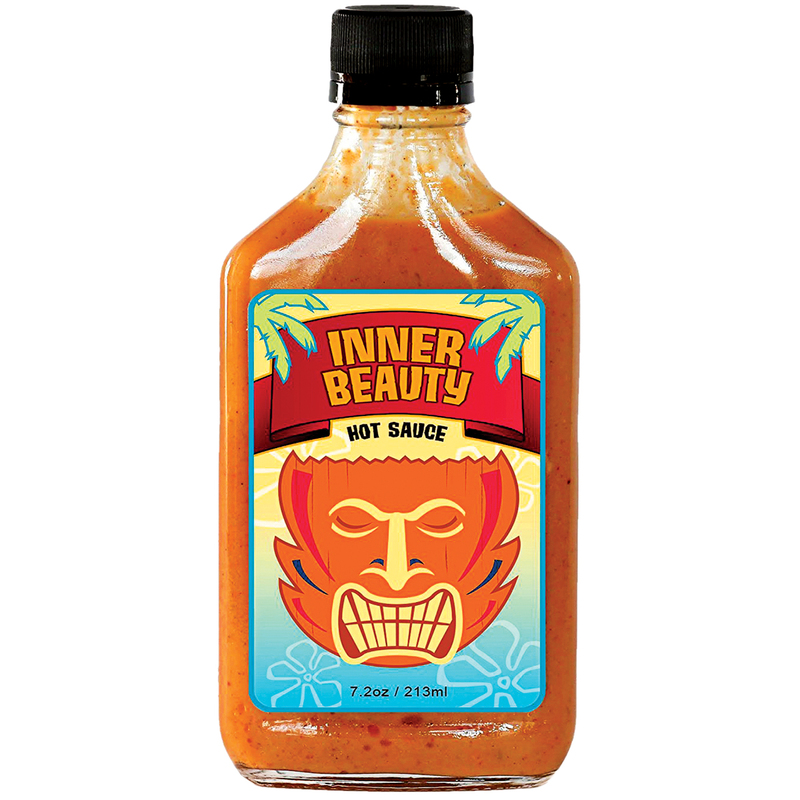 Produced in Maine, Inner Beauty is also for sale at other spots, including All Star Pizza Bar. Note: If you buy a bottle for your Hell Night-loving friend, make sure to tell them this fresh blend of yellow mustard, mango juice, and scotch bonnet peppers needs to be refrigerated. 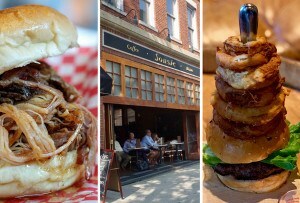 The Automatic, 50 Hampshire St., Kendall Square, Cambridge, 617-714-5226, theautomaticbar.com. 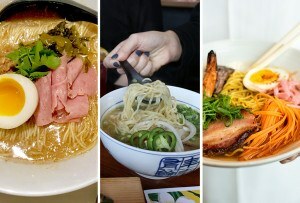 This popular food-truck-turned-restaurant has a line of pantry items made with sustainably sourced ingredients, inspired by the Chinese-American flavors on chef Irene Li’s menu. 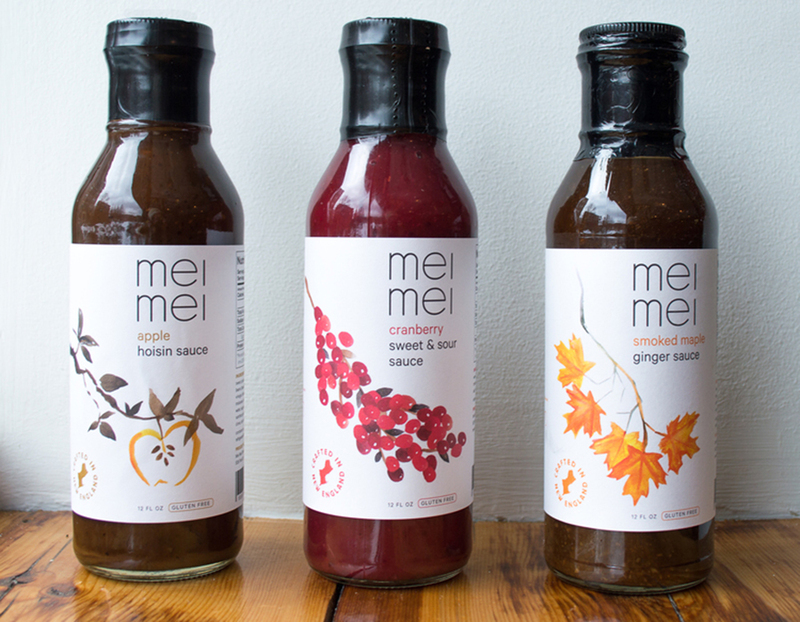 Apple hoisin, cranberry sweet and sour, and smoked maple ginger sauces ($9/bottle, $25/trio) are for sale at stores around the city, plus at Mei Mei’s Audubon Circle restaurant and on its food trucks. Li shares culinary inspiration on how to use them, as well. Chef Josh Smith’s growing charcuterie-born empire sells a range of vinegar-based hot sauces online, at its Waltham and Back Bay delis, and, at least for the holiday season, at a pop-up shop on Newbury Street. 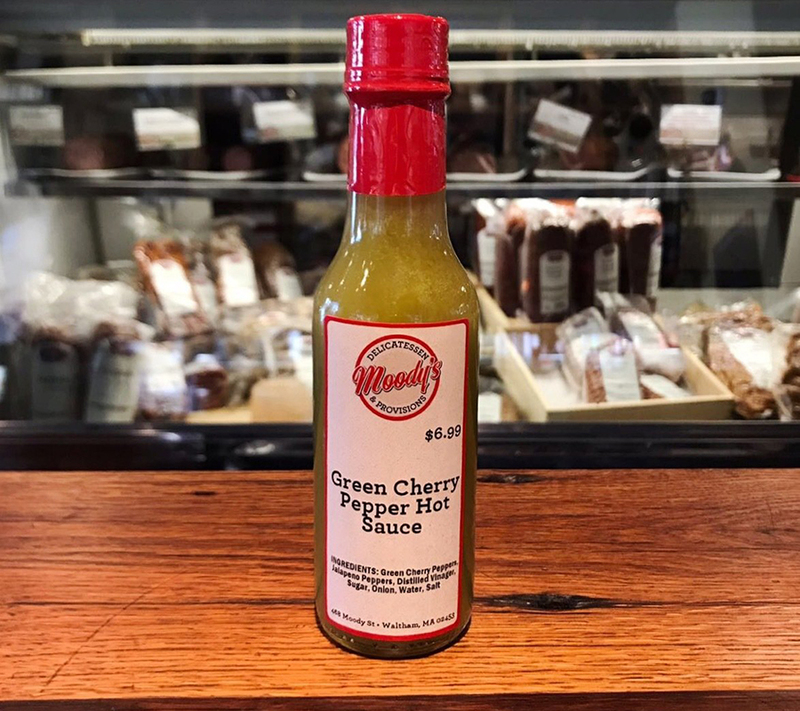 Green cherry pepper, purple cayenne pepper, 100-day barrel-aged habanero pepper, and red hot cherry pepper varieties all sell for $6.99 a bottle, while a fire-roasted version will run you $9.99. 468 Moody St., Waltham, 781-216-8732, 500 Boylston St., Boston, 468 Moody St., Waltham, 781-216-8732, moodyswaltham.com. 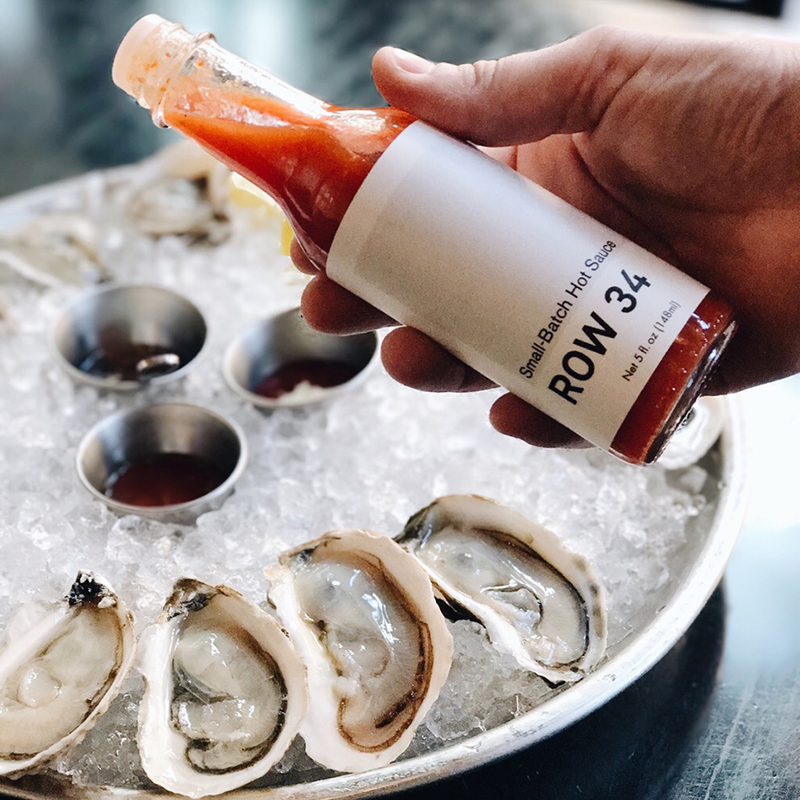 If you ask oyster farmer and Row 34 co-owner Skip Bennett, he’ll advocate you slurp sans any cocktail or hot sauces, to allow his babies’ natural brine to shine. 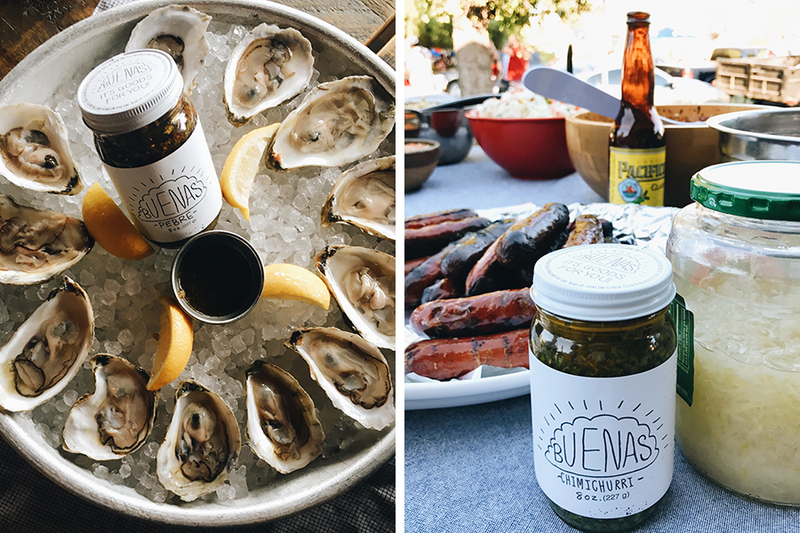 But he supports oyster-eating in all forms, and graciously allowed partner and chef Jeremy Sewall to create some house condiments. Row 34’s cocktail sauce balances biting horseradish with sweet peppers in this $8 jar produced at Commonwealth Kitchen in Dorchester. The house hot sauce, a recipe collaboration between Sewall and Alex’s Ugly Sauce, is complex, with bright, floral notes and heat from a variety of Sparrow Arc Farm peppers. Both sauces are available online, at Row 34 locations in Boston and Portsmouth, and at Island Creek Oyster Bar in Boston and Burlington. 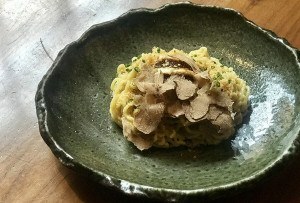 383 Congress St., Fort Point, Boston, 617-553-5900, row34.com. 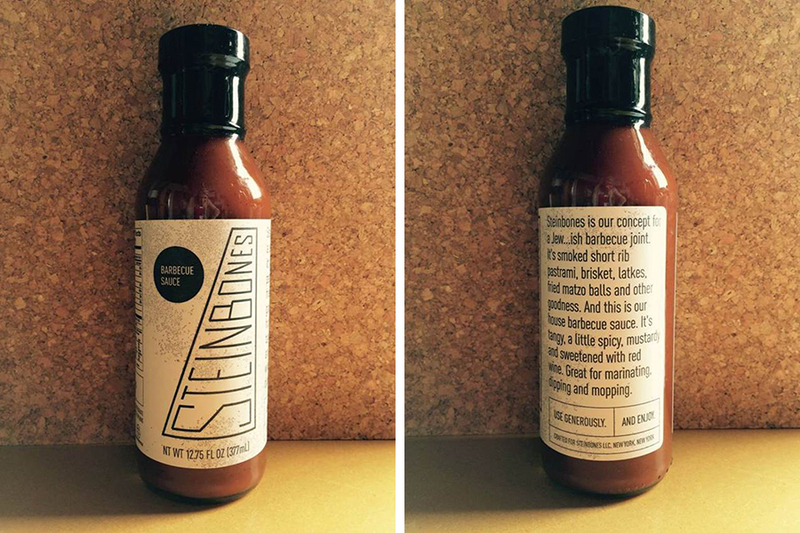 In case the name fooled you, this Faneuil Hall-adjacent spot specializes in sauces. 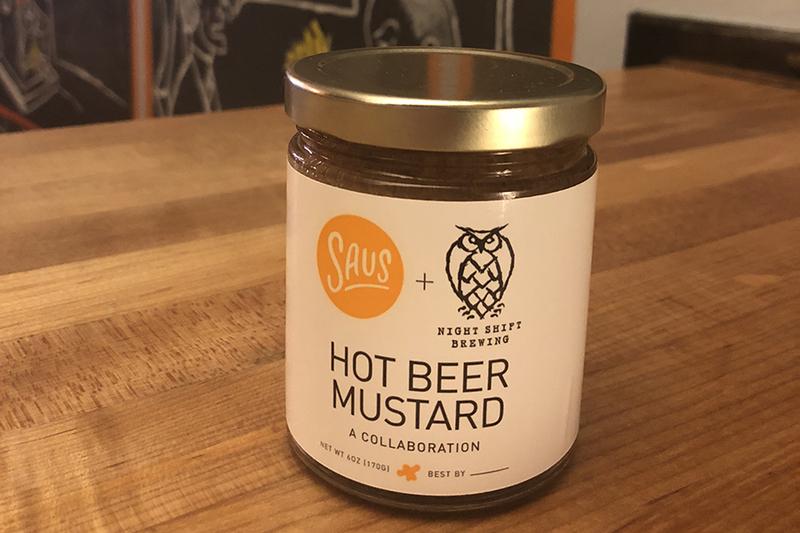 All of the house condiments can be purchased by the half-pint in freshly packed containers, but the hot beer mustard is packaged in air-tight jars and is meant to last a bit longer. This heat-packing sauce uses Thai chilis, tempered with Night Shift Brewing’s Pfaffenheck pilsner. Find it for $8 at Saus, and at the Everett brewery. 33 Union St., Boston, 617-248-8835, sausboston.com. Who knows when Commonwealth chef Nookie Postal’s Jew…ish barbecue joint, in the works since 2012, will actually become a restaurant. But his tangy, tomatoey, wine-sweetened barbecue sauces is the real deal, and it’s on sale in the market at his Cambridge restaurant now for $8 a bottle. Commonwealth, 1 Broad Canal Way, Kendall Square, Cambridge, 617-945-7030, commonwealthcambridge.com, steinbones.com.